That wool stash it mind boggling! Reminds me of a little haberdashery store up the road from where I grew up. LOL I used to go there all the time and drool, then I'd layby the wool, and pay for it one ball at a time. I love your little cupboards, Barb. 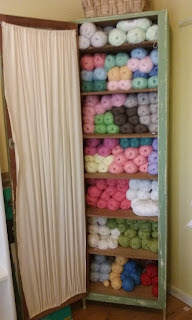 All that wool!!! 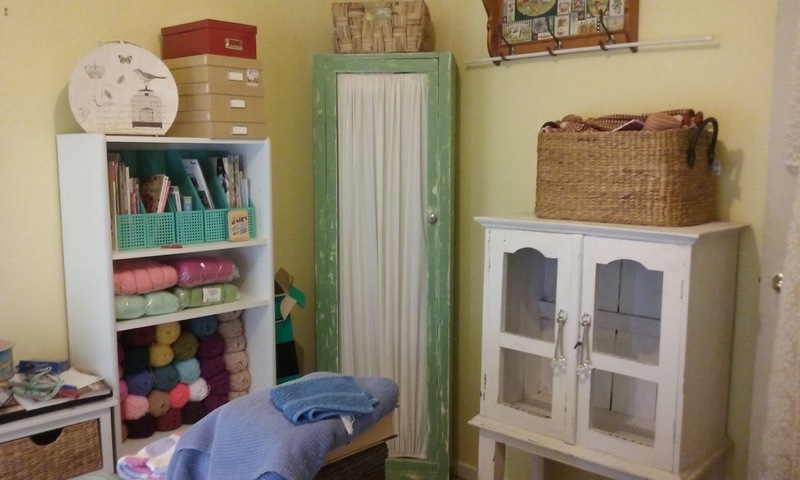 I think you have a wool shop in your craft room LOL. OOOO looking forward to seeing your new sewing table. I still haven't found storage space for some of my things I need to keep. 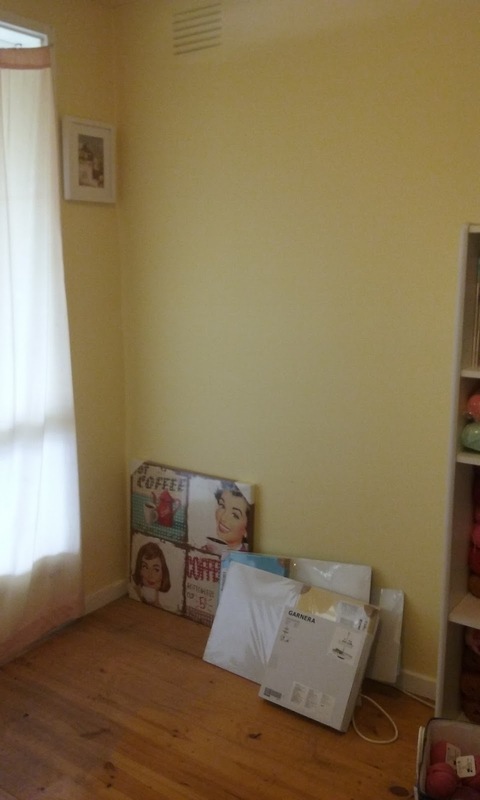 Oh a new room, exciting! Looks great so far Barb... all that wool looks so pretty & oh-so organised! I am sure you have more wool than our local craft shop. Looking good.